We are so thankful we found Dr. Robertson! 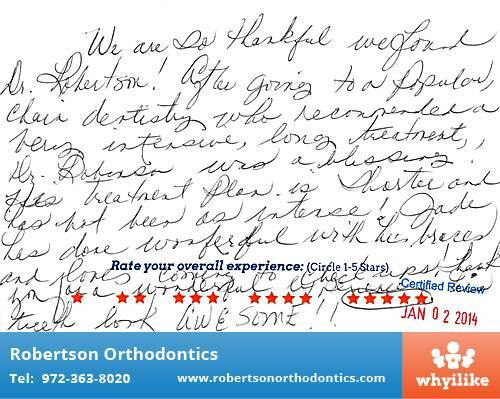 After going to a popular, chain dentistry who recommended a very intensive, long treatment, Dr. Robertson was a blessing! His treatment plan is shorter and has not been as intense! Jade has done wonderful with his braces and loves coming to checkups. Thank you for a wonderful experience. His teeth look AWESOME!